Most of you already know we’re moving across country……soon. And one of our first purchases for the trip, was a portable DVD player. And ours is a double screen, one for each headrest. Complete with a shoulder strap. And a divider for the two different screens. With a pouch on the back to store cords, headphones, etc. Would you like your own? Then I set the 4 large rectangles aside, and I sewed a piece of double folded bias tape along the top of the 2 smaller rectangles, attaching them together…..only along the long top edge. Then I made a pleat along both ends and pinned them into place. Then I sewed it to the front of one of the large rectangle pieces, only sewing along the one layer of the pleat. The fold of the pleat needs to be left free, so that it will be expandable later on. From the top of the pocket, you can see that the folds were left free and now the pocket opens up nice and big. Then cut out a top flap, that is just as wide as your pocket, making sure to include enough for a seam allowance before cutting. Then attach some velcro to the pocket and the flap. And then sew the flap right above the top of the pocket. Next, you’re going to place the batting along the back of your large rectangle pieces and then place these large rectangle pieces together, with right sides together. Now, sew around the bottom and sides, leaving the top open. Then make a zig-zag stitch next to that. See how you now have the beginnings of a tote with the divider in the middle? 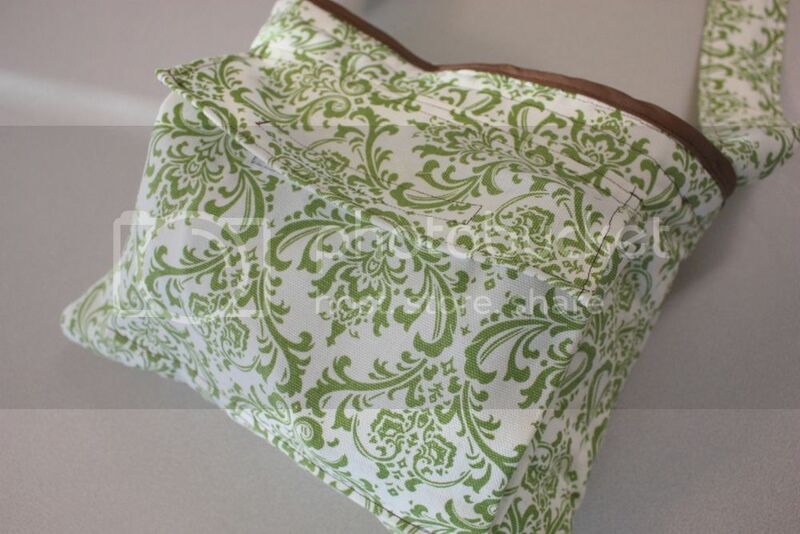 Now sew some more of your double fold bias tape along the top of the tote. Now, cut out a top flap that is as wide as your tote, making sure to include enough for seam allowances before you cut. Then hem the sides and top of the flap (upside down in my picture). And then tuck under the bottom of the flap (once again, it’s shown upside down) and attach it to the tote with pins. Next, decide on how long you’d like your shoulder strap and how wide. Make a tube of fabric, turn it right side out, press flat and then sew along the edges to keep it nice and flat. Lastly, attach velcro to the flap and the tote. So stinkin' cute. That would work for a diaper bag, too! ahhh! that is amazing! thank you for sharing. I always love your ideas! great! I love it. will try that soon. thank you. thanks for this! You always take the best pictures for your tutorials. Makes it so easy to follow! um, ashley… you rock! i almost want to go buy a portable dvd player just so i can make one of these lol. Awesome! Thank you so much for this tutorial! We have a portable with an extra screen and I've been needing something along these lines! How adorable! I might make one just because it's so darn cute! The bag looks great. You definitely will need that portable dvd player for the drive. Best of luck with the move. I literally just this morning decided I needed to make a case for our new player. I was so excited to see this in my reader! Thanks a million! Awesome job Ashley! You are always so creative & everything always turns out so cute! Good luck with the cross-country move & enjoy your warmer weather! So cool (and pretty)! Thanks for sharing! Love it, love it, love it! Thanks so much for this! Well, I think I will try that! Wow. How talented are you to just come up with that! So great. We have a double player too, SOO nice! One question – would it be easier to sew on the velcro before sewing it all together? It just seems like it might be tricky getting your machine around in a tight space…but maybe it isn't so bad. Good luck with the move! Best wishes! That is such a nice tutorial. 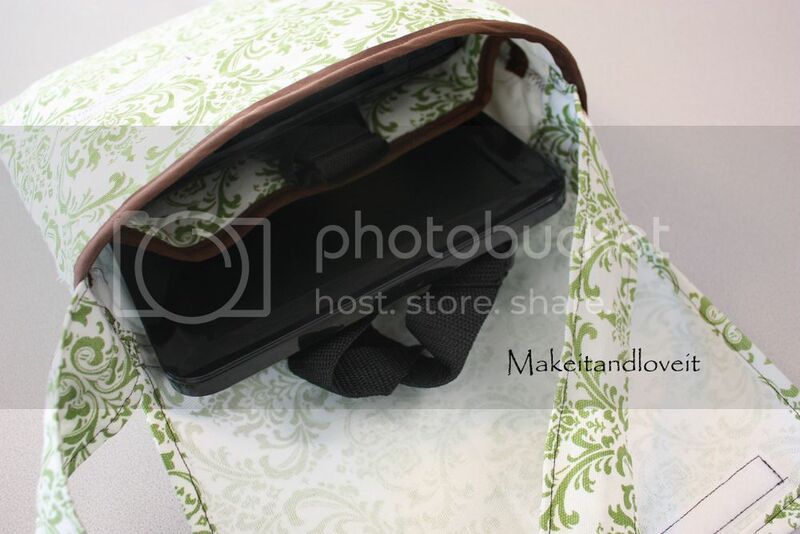 I carry a netbook and I never thought of putting a nice little pocket on the outside of the bag for the cords. Sweet. Thanks for sharing. My husband would love this (in a different pattern of course!). Thank you for posting the tutorial. YES- I have been needing one of these so badly. Thank you Ashley you are so SMART! I will miss you hope you have a great trip. Cute! This could totally work for a laptop, too!! Sooooo cute! I love it! I'm going to have to adapt this for other things, the possibilities are endless!! So, I'm so mad at myself. I read your blog through google reader and didn't realize you were closing your etsy shop while you move… I was going to pick up a tie pattern for my nephews for Christmas and missed it! If I hadn't put it off, I would be fine! Good luck with your move!!!! this is great, thanks for sharing…it is just what i needed, i need to make a bag for my kids' leapsters…i think this will adapt nicely! hope your move goes smoothly! this would also work for a mini laptop!! so cute!!! You're ideas are amazing… I think I have used about everysingle one for my kids and house!! This bag is so cute!! I love it!! For your size tote, about how much fabric did you need? I can't wait to try this out!!! Thanks so much for sharing you have saved me tons of money!!! i made it!! thanks so much for the tutorial! Wow, this is fabulous. I love it so much and can use this for so many things. Thanks so much, I'll be linking. I don't have a portable DVD player, it's on my someday list – and this tote is right under it on that list! Great tutorial!! I linked to it on my weekly roundup – thanks so much for sharing! Thank you so much for this post! We have a portable with an extra screen and I have need of something like this! Exactly what I need! You know what else would be neat? To make something besides the flimsy straps to hold it to the headrest of the car! Any ideas????? I have the same DVD player and was wondering what to do with it when it's not in use! p.s. I absolutely LOVE everything you make, you are incredibly talented! Thank you for this! It is exactly what I am looking for to store our Portable DVD player when not in use. perfect! i am so gonna try this! but i may use it for a camera bag!! Awesome! We got one of these two screen portable dvd players recently and I too wanted a protective bag for it so it wouldn’t get banged up / scratched up and would be easy to store and grab when needed! I tried making one on my own, but I’m a beginner sewer and it didn’t turn out well at all!!! This step by step tutorial is EXACTLY what I need!! So glad I stumbled upon your post here!! Thanks!! Ashly… It has been a while since I have been following your blogs. I simply love ur presentation and skill. In fact after I got my sewing machine.. I have searched the web for some good tuts….because I am compltely new to sewing. You were my inspiration to sew. It was ur tutorials that has given me the confidence to ..sew and adopt sewing as a hobby. THENKS A TON For all the lovely tuts. How I wish I was in Denver so that I could come to u personally and thank you. 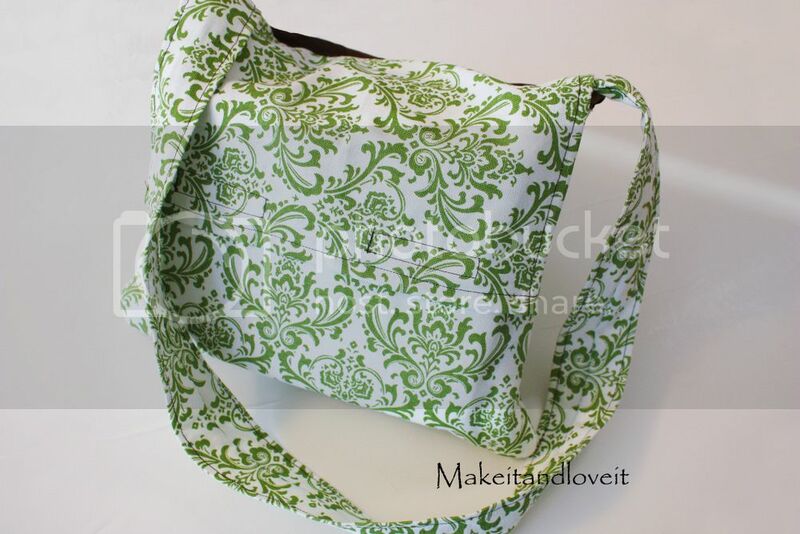 I found your site when I googled – sewing with vinyl and then also found the tote. With an upcoming trip I was planning to make something for my iPad. I used your design and resized it for my iPad adding thicker batting for protection. Love it and thanks for such a wonderful blog! Thank you for the tutorial. I made this for our dual screen DVD player as well. They have 9inch screens.